Relocating can be a torment: planning, getting moving boxes, dismantling, packing, carrying, transporting, carrying, setting up, disposing of moving boxes and much, much more. You're not keen on this and are looking for a competent relocation specialist who will take care of your relocation within Berlin or to/from Berlin? A shipping company, that knows how to move efficiently and stress-free and that takes care of everything? Then we at Kopania u.Co. GmbH & Co. KG are exactly the company you have been looking for! Since 1908 we have been helping private clients and companies in relocating their homes or businesses from A to B - quickly, safely and on time. While we were still moving around with horses and carriages in the 1930's, today we have a large fleet of special-duty air-suspended trucks for the careful and safe transport of your relocation goods. Kopania has more than 100 years of experience in national and international relocations. In addition to safe packaging and transport, we also offer our clients furniture storage, where their furniture can be stored temporarily until shipping or delivery. We are partners of confern, one of Germany's largest relocation network and relocation company. Together with confern we took care of the relocation of the entire Bundestag administration from Bonn to Berlin: a mammoth task with 32,000 cubic metres in more than 11,000 containers, which we finalised in July 1999 with around 200 employees to the complete satisfaction of the customer (we were also congratulated by Chancellor Schröder). We also work for the Bundeswehr (German Armed Forces) and have developed expertise for Eastern Europe, especially Poland and Russia, in the decades of our work together. Since 2009, Kopania is also represented in Russia. 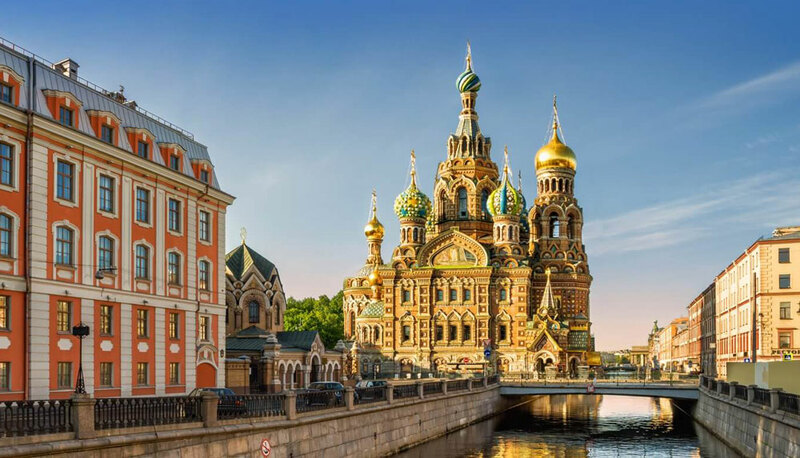 Our office in St. Petersburg deals with all topics and concerns about relocations from and to the CIS countries (Содружество Независимых Государств). We can also help you with the import and export of goods into Russia and the neighbouring states and ensure a quick turnaround. Our Managing Director Mrs Valentina Mankevich in St. Petersburg is your contact person in Russia. By the way, Мы также говорим по-русски в нашем берлинском офисе. Do you have any questions or would you like to enquire about a relocation?